Disney Publishing Worldwide (DPW) announced today the upcoming global release of four new books based on the original Star Wars film trilogy. The classic Saga will come to life like never before through adaptations by bestselling children’s authors Tom Angleberger, Tony DiTerlizzi, Adam Gidwitz, and R.J. Palacio. Each of these celebrated authors will bring their contemporary, unique voice to the galaxy far, far away, bridging the multi-arc storyline in anticipation of the release of Star Wars Episode VII in December 2015. 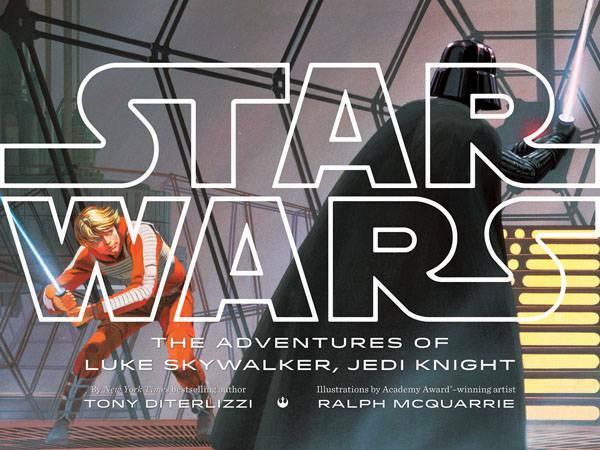 The Star Wars Saga program will hit stores beginning in October of 2014, with THE ADVENTURES OF LUKE SKYWALKER, JEDI KNIGHT a picture book written by New York Times bestselling author Tony DiTerlizzi (The Spiderwick Chronicles), illustrated with concept art created by Ralph McQuarrie, for the original Star Wars films. 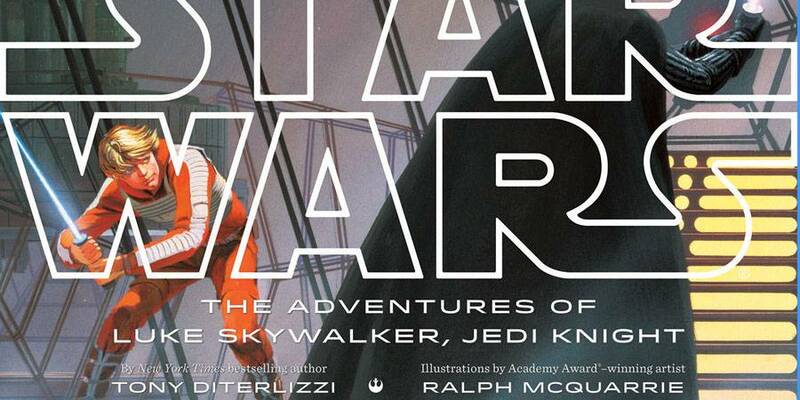 This winning collaboration, combining the entire storyline of the original trilogy, is bound to delight dedicated Star Wars fans and enthrall readers new to the series. Additional titles to follow include new retellings of STAR WARS: A NEW HOPE by R.J. Palacio (Wonder), STAR WARS: THE EMPIRE STRIKES BACK by Adam Gidwitz (A Tale Dark and Grimm) and STAR WARS: RETURN OF THE JEDI by Tom Angleberger (Origami Yoda series), which will be illustrated by award-winning Star Wars concept artist Iain McCaig. 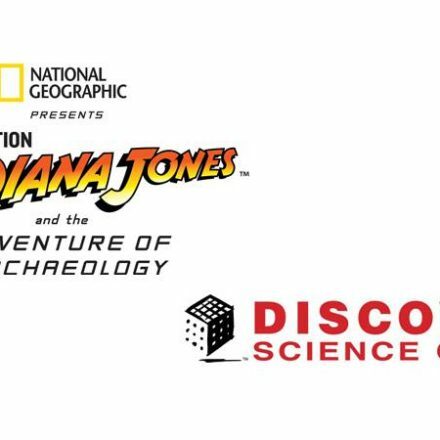 The new series will be published in the United States under Disney-Lucasfilm Press, an imprint of the Disney Book Group. For over a 35-year period, Star Wars is still one of the most powerful and successful film franchises in the world. During that time, the Star Wars publishing program has spawned an incredible 125 New York Times best-sellers with more than 125 million books in print, in over 30 languages. 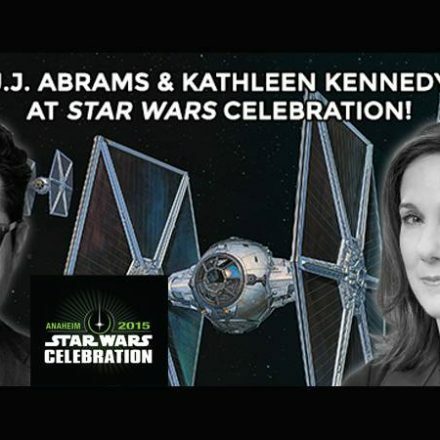 J.J. Abrams and Kathleen Kennedy at Star Wars Celebration!